Please check the latest update posted on Aug 11. For residents on evacuation alert, please be prepared to evacuate your premises or property should it be required. 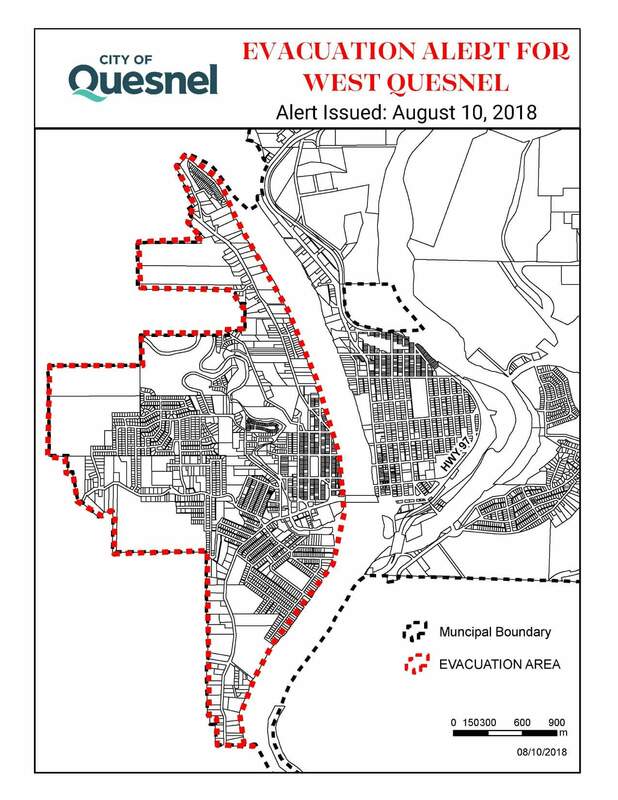 Residents will be given as much advance notice as possible prior to evacuation; however you may receive limited notice due to changing conditions. Visit cariboord.ca for more details on what you should do when you’re on evacuation alert. Please visit the Cariboo Regional District or City of Quesnel website and online searchable map for more details or call 1-866-759-4977, which is open 8 a.m. to 10 p.m. or the City of Quesnel at 250-992-2111 during business hours.